Whoever came up with National Tequila Day is smart, because there's nothing we love more on a hot summer's day than a frosty marg rimmed with salt — except maybe an extra day off to go along with it. Sure, we don't need a date on the calendar to put us in the mood for sippin' — but it certainly doesn't hurt to share a few fun, boozy facts and a recipe in the, um, spirit of things. Enter, Paul Tanguay of the Tippling Bros., Chicago's ultimate culinary cocktail creators. The libation master shared with us some fun history, tips, and a damn-good recipe that all have to do with (you guessed it) tequila. Between the delish cocktail and your newfound agave knowledge, you're bound to be the center of attention at the next barbecue. So, read on, take notes, and hit the liquor store as soon as you get off work. 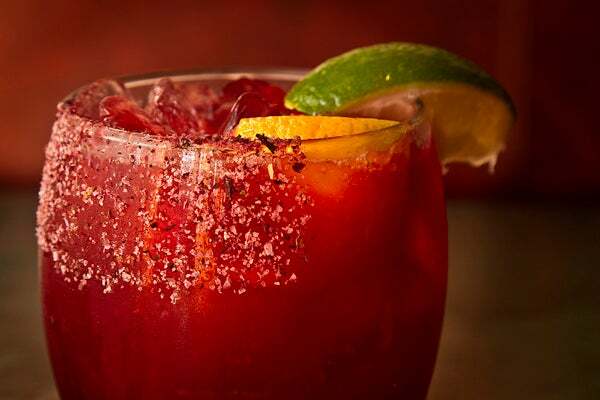 "The margarita has an interesting origin: In the late 1800s, there was a category of cocktails called 'Daisies' consisting of a base spirit of gin or brandy, lemon juice, and flavored with grenadine or syrup. During prohibition, people started flocking to Mexico, and it’s said that there was a racetrack in Tijuana that started making Daisies with tequila and making substitutions, like lime juice for lemon and agave and Grand Marnier for simple syrup and grenadine. Plus, margarita is Spanish for daisy!" "Where you grow the agave matters! Tequilas are as influenced by place (terroir) and production as much whiskey or scotch. Lowland tequila is a little bit spicier, and you’ll get notes of cinnamon oil or wet clay. With highland tequilas, you get subtle notes of the agave, as well as citrus, grassy, vegetal, and floral notes and more minerality. Overall, highland tequila comes off as more delicate, while lowland tastes a bit rougher." "At Mercadito, where all of the cocktails are tequila-based, we start with what we view as the 'base' of a margarita: sweet, spice, and smoke. Most of our cocktails are riffs on the margarita, but rethinking the ingredients. For example, our Pepino El Pyu uses cucumber as a flavoring agent, hoja santa-infused simple syrup as the sweetener (a Mexican herb that means 'sacred leaf,' and according to Mexican lore, Mary used it to dry Jesus’s diapers on the plant), and cumin salt for the rim. This just takes the classic elements and makes them a little more creative. Other ideas include: Try chile-infused simple syrups like guajillo syrup or highly acidic fruit components like pineapple or Valencia orange. An extra shot of mezcal in a simple margarita is another great way to add another dimension of smokey flavor to a classic cocktail." 1. Press orange in tin. 3. Shake and strain over fresh ice.